As human beings we are social beings – we get our needs met more effectively together than we do individually. Our organism is designed to relate communally. Yet our modern western culture has driven us further and further towards identifying with our individuality, rather then our interdependence. Our sphere of connection has shrunk from the larger web of relationship provided by community towards the small, isolated unit of the nuclear family. This has led to us feeling more and more isolated and disconnected from each other and from the community of the living, natural world. This disconnection is even more emphasized by our increasing addiction to communicating via our devices, rather than face to face. Ultimately our state of wellbeing and fulfillment is tied to the health of our communities, both human and those of the natural world. The medicine for this disconnection is simple. To slow down and become present with each other and with the living community that is the natural world. To become present to the divine energies and elemental beings who are around and within us, sustaining and nourishing us in every moment. One of the elements that is particularly helpful to us humans in our longing for connection is that of Fire. Fire is the energy of connection, particularly of heart connection. It helps us to connect to our essential self, to the awareness that is alive within everything, to the Common Heart. 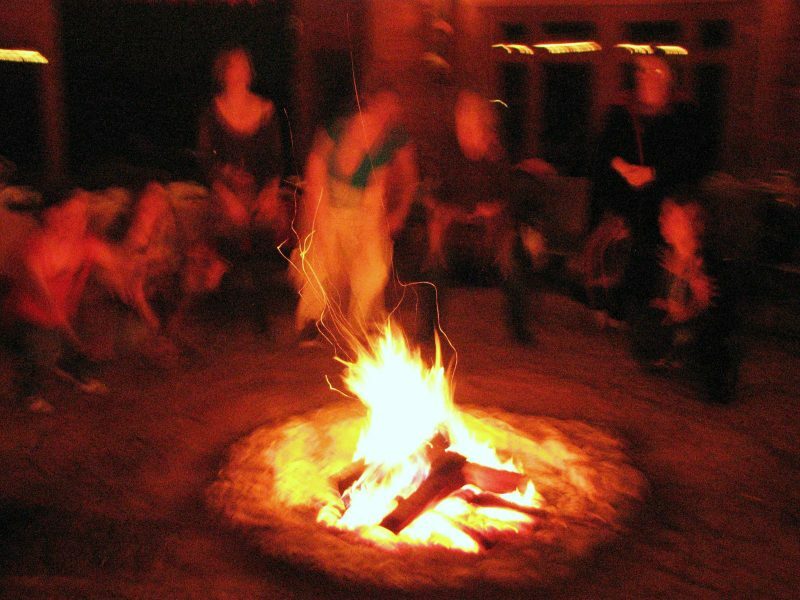 Human beings have had the practice of sitting together around the fire together for millennia. It is a simple, yet profoundly effective, way to slow down and connect with our heart, with each other and with the guidance and sustenance of the Divine. Prema is one of the facilitators of the Lifeways programs offered by the Sacred Fire Community. Human life is designed to be lived within a continuous series of cycles, stages and transitions. This forms a circle that begins with welcoming birth, moves through childhood to puberty; finds purpose, identity, and fulfilling relationship in adulthood; slows into the wisdom of elder-hood and comes full circle as we approach the doorway of death. Each stage is an opportunity for growth, learning and discovery and each unfolds based on what was accomplished or neglected in the preceding stage. And all of this is held within the context of being witnessed and sustained by community.